Layered over a bodysuit or worn on its own, this women's t-shirt is a go-to piece for the studio. 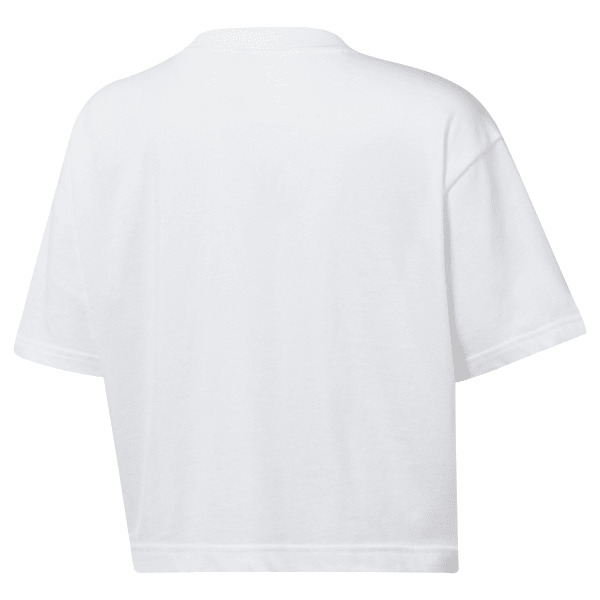 The loose shape allows for plenty of movement, and the soft cotton fabric keeps you comfortable. It has a cropped fit and features a LES MILLS graphic on the front.